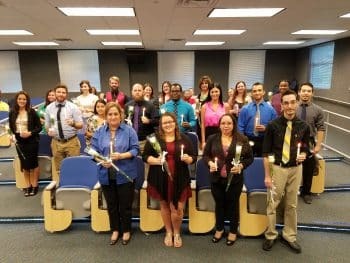 A renewed energy was recently brought to the PTK Honor Society initiative at the Fort Myers campus when instructors Amanda Brunson and Lindsey Page took the helm. 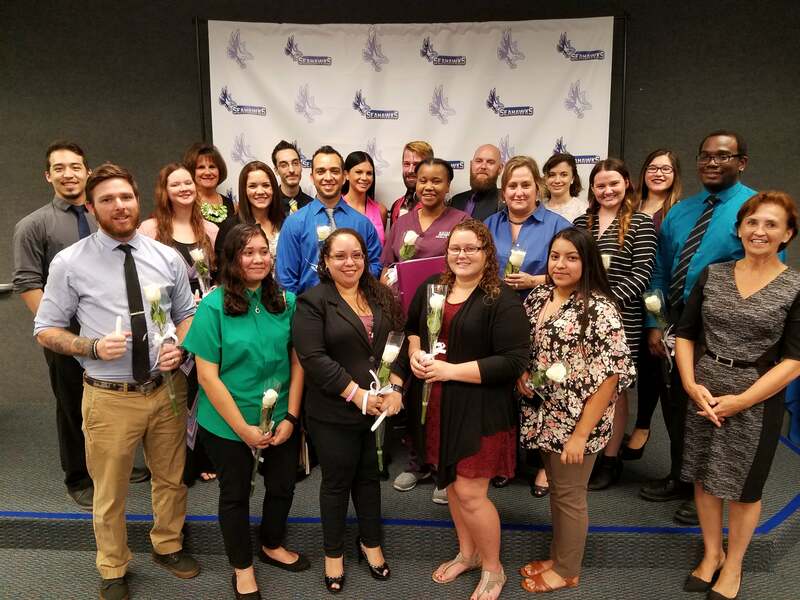 As a result of their effort and the incredible academic success that so many of the Fort Myers students have achieved, a total of 31 new PTK inductees were counted, breaking a long-standing record on the campus. Pictured are the proud students who were able to attend the ceremony to celebrate this milestone of their own effort and that of the campus.